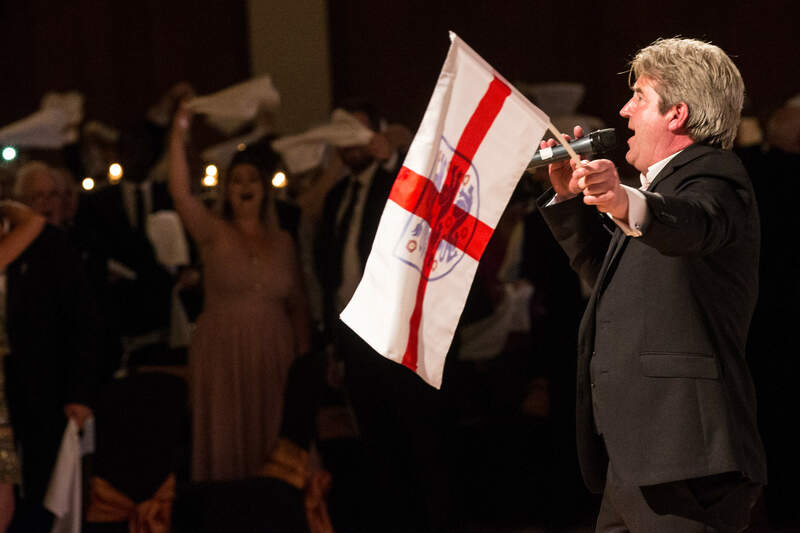 Sport's Winning Tenor Martin Toal is equally at home in a stadium, on a concert stage, or at a major corporate or charity event. Performing to professional backing tracks or accompanied by a 3 to 40 piece orchestra band, multi-lingual Martin is mainly asked to sing popular operatic arias such as O Sole Mio, Funiculi, Nessun Dorma etc, and sing or lead the audience in singing popular sporting and / or patriotic songs and anthems including World in Union, Jerusalem, Ireland’s Call, Sweet Chariot, Land of Hope & Glory, Flower of Scotland, You'll Never Walk Alone etc , either as a solo artist or accompanied by one or more female classical violinists. 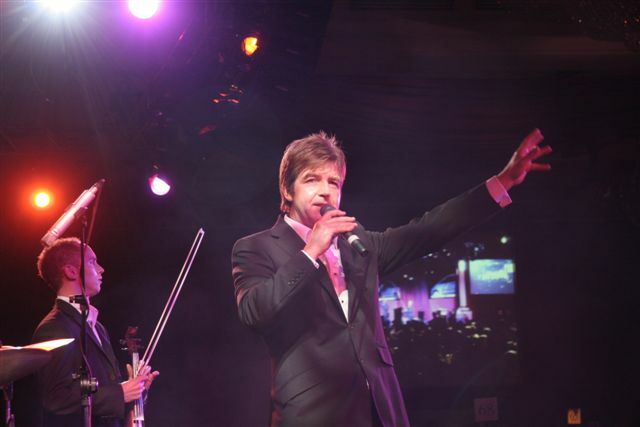 Accompanied by Lord of the Dance fiddle player Richard Sanderson, Martin is also often asked to perform popular operatic and Irish songs from his albums ARIA CELTICA and COCKLES MUSSELS & ARIAS at high profile Irish events. 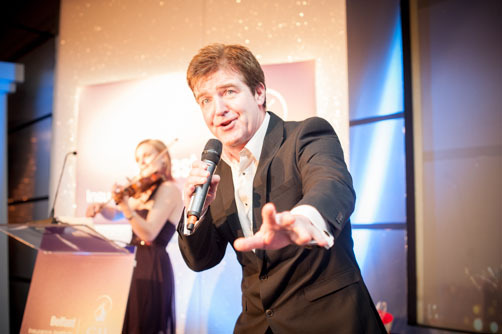 As well as being a top class singer, Martin is also a natural presenter and a skilled producer who is often asked to present and / or organise the entertainment for theatre shows and / or charity / corporate events. You can also listen to more of Martin's music by clicking on the links on his music page.